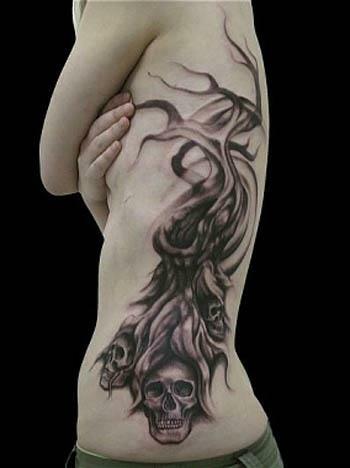 This striking tattoo features 3 skulls wrapped in the roots of a dead tree. It was done at Eye of the Lotus in Edmonton, Canada and took around 8 hours to complete. The details and shading are fairly realistic, yet it has a very distinct stylized dark vibe.